DivX Plus 10 Pro Software lets you convert video between popular formats, including HD files, and enjoy an enhanced playback experience across all your devices, at home and on the go. It is all you need to create, play and stream high-quality video. Also DivX Plus 10 allows you to play DivX, AVI, MKV, MOV and MP4 video with DivX Plus media player. Or watch these videos in other popular media players like Windows Media Player or Media Player classic. DivX Plus 10 includes everything you need for a high-quality digital video experience including Converter, Player, Web Player and Codec Pack. Over 100 million devices that support DivX video have shipped worldwide from major manufactures, including DVD players, gaming consoles, mobile phones and more. DivX Plus 10 you the power to watch, create and share high-quality videos on your Windows or Mac computer. DivX technology enables highly compressed video without compromising visual quality – so you can enjoy a cinematic experience on your computer, in your living room or wherever you go. H.264 is a new standard that is poised to power the high definition video revolution by offering incredible visual quality, performance and efficiency. DivX Plus 9 gives you all the tools you need to take full advantage of H.264 for a truly cinematic video experience. 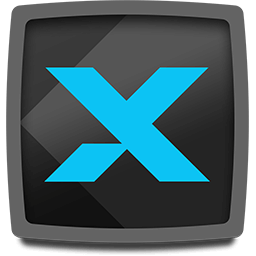 Use DivX Codec Pack with your favorite video editors and media players. In addition to high-quality output of DivX (AVI, DIVX) and DivX Plus (H.264 video in MKV container) video for your PC and DivX Certified devices, Converter now adds MP4 conversion to make sure your videos play well on iPhone, iPad and beyond. And with hardware acceleration, you can expect high-performance encoding that doesn’t overload your CPU or drain your battery. Player delivers the best playback experience for movies, TV shows and popular web video formats (AVI, DIVX, MKV, MP4, MOV, WMV). With support for advanced features (multiple subtitles, audio tracks, smooth FF/RW), quick transfer to DivX Certified devices and new streaming to DLNA-compatible devices, Player with DivX To Go is the only tool you need for high-quality video playback of your collection – on your computer, throughout your home and on the go.